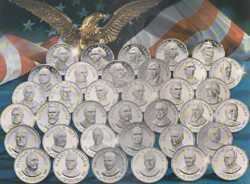 The Governors Edition States of the Union Medals Collection (Franklin Mint, 1970) Current Market Value. 39mm. Governor's Edition. 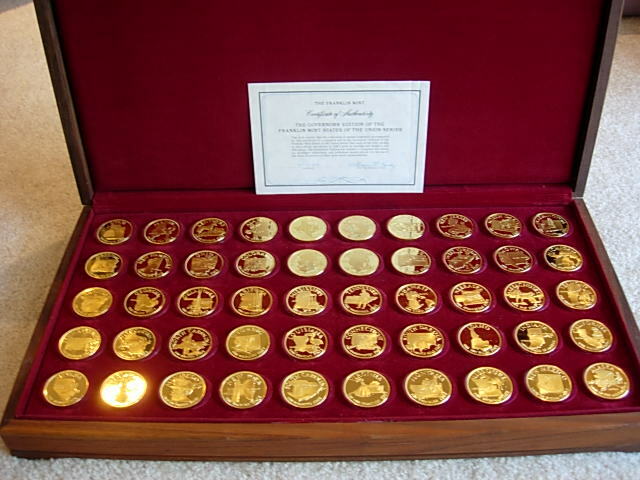 Issued in bronze, gold-plate, and sterling silver. The bronze edition has little if any value. Complete set of 50 medals.